Our wellbeing workshops are designed to support you through the various demands of the academic year. The workshops cover a variety of themes – procrastination, stress, anxiety management and communication – providing tips and strategies to help with your studies and future careers. There is provision across all campuses throughout the year and they are free of charge. 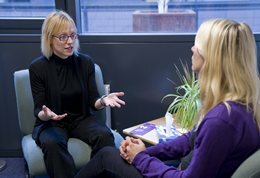 If you are struggling to cope or think you need help dealing with ongoing issues, the university provides resources and additional services to give you the support you need. Always putting things off and leaving things to last minute? Exams coming up and haven’t made headway with revision? Essay due in but couldn’t get down to it over the holidays? Dissertation looming, but feeling overwhelmed? This 90-minute workshop aims to put an end to procrastination by sharing techniques to improve motivation, planning and organisation throughout the academic year. We will discuss ways in which you can be most productive with limited time, make a realistic plan and reward yourself for all your hard work. Develop your Bounce! Be more resilient to stress. Demotivated? Disorganised? Worried about deadlines? Develop your resilience to stress and Bounce back! In this one-hour workshop, we will discuss how we recognise stress and what strategies can be developed to manage it and become more resistant to it. Need to boost your confidence in groups? Nervous about placements? Want to be at your best for interviews? This one-hour workshop helps you to develop your communication skills, whether for your coursework, placements or future employment. We look at how to communicate effectively by building rapport, developing our listening skills, and boosting our confidence to be at our best when it really matters. Student Services have invited the Brighton & Hove Wellbeing Service to offer support to those who are experiencing issues with anxiety and worry. Understanding Anxiety and Dealing with Worry uses CBT (cognitive behavioural therapy) techniques to assist in the management of such feelings. Open to students that are registered with a doctor in the Brighton & Hove area. Ideal for students who are experiencing anxiety and would benefit from gaining a better understanding/learning more about anxiety and worry and ways of managing these symptoms. To find out about upcoming workshops and how to book a place please see our Wellbeing workshops. Transform Your Life is a free, three-day graduate employability course, aimed at helping graduates to develop positive techniques to present and promote themselves confidently while seeking employment. 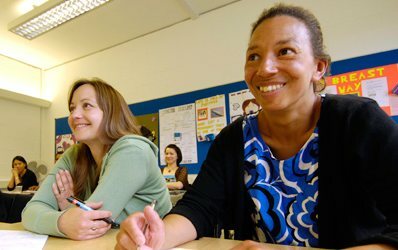 The course is open to recent graduates who are seeking to improve their employability skills. The activities are specially chosen to improve self esteem, motivation and confidence and apply it to CVs, letter writing and interviews. Transform Your Life is run by Student Services in partnership with the Alumni Association. For further details please contact the programme facilitator Sue Burnett at S.C.Burnett@brighton.ac.uk. I think that the course is extremely practical, fun and challenging. I thoroughly enjoyed the experience. I was impressed by the work that had gone in to it, the humour and the clarity…. I’ll be recommending it to everyone!